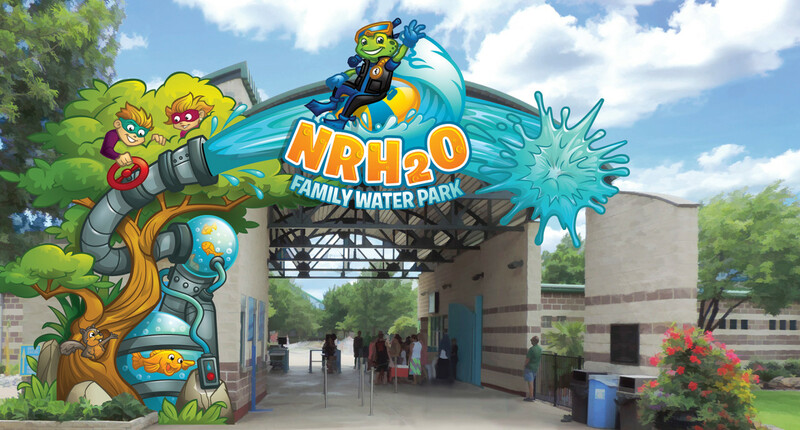 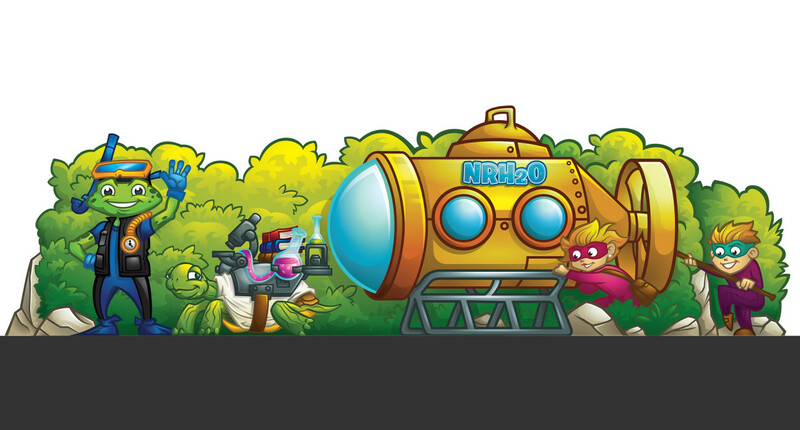 One of the first municipally owned water parks in the country, the award-winning NRH2O Family Water Park needed help developing updated branding and theming. 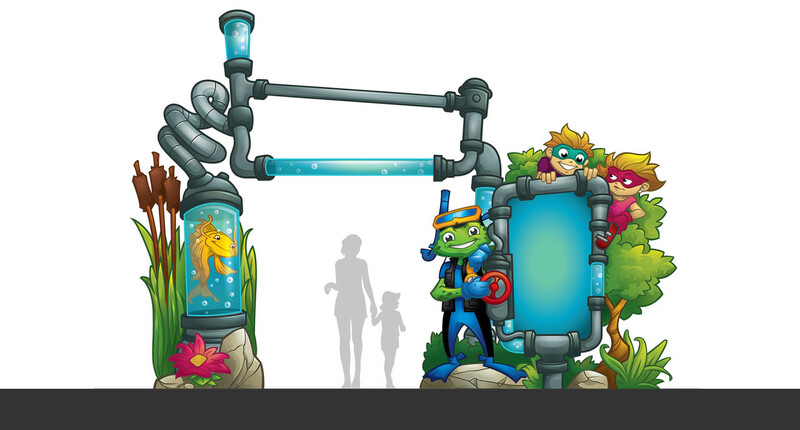 FORREC stepped up with a comprehensive makeover that features a whole new generation of characters to take over from the water park’s original hosts, Professor Frogstein and Doctor Unfun. 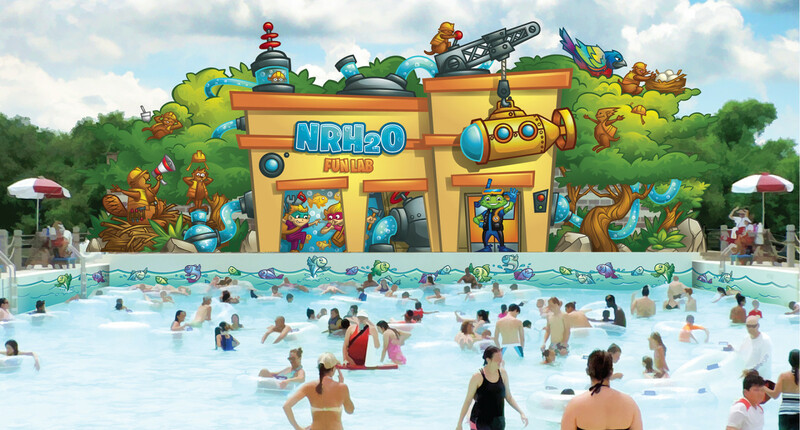 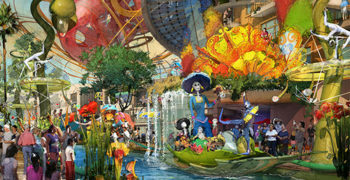 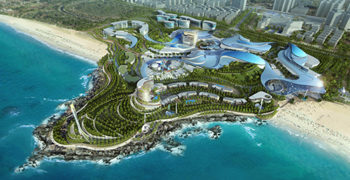 FORREC developed a strong narrative that gives NRH2O a dynamic new personality. 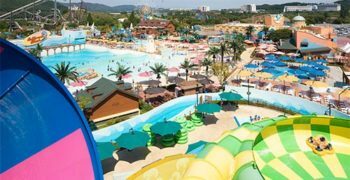 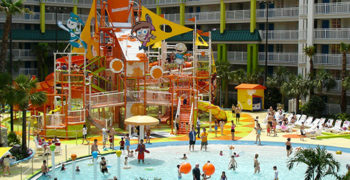 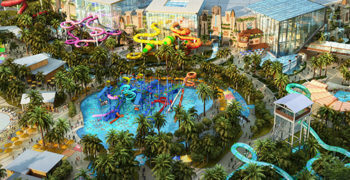 Quirky characters set a playful tone with dialed-up branding, vibrant colours, cheerful wayfinding, exciting attraction signage, and themed enhancement wrapping the wave pool building. 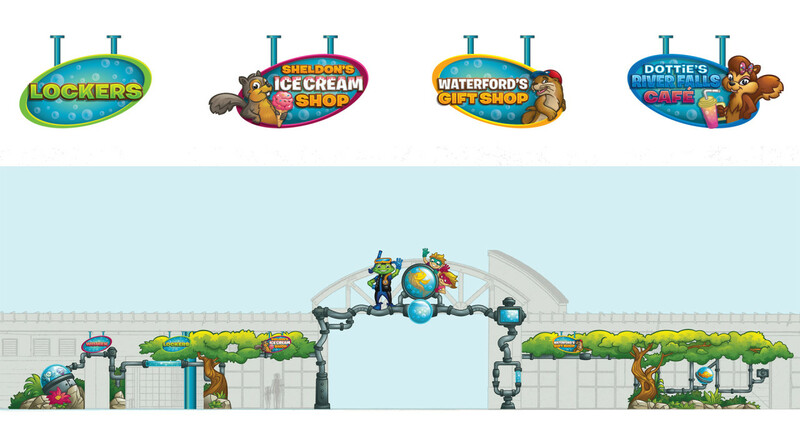 In creating heirs-apparent Bounder, Eb and Flo and a cast of other wacky friends, FORREC has developed a storyline and a look that’s sustainable for generations to come.